For small groups of students on internships, we can propose different choices of accommodation in establishments run by a family and situated in the same street. 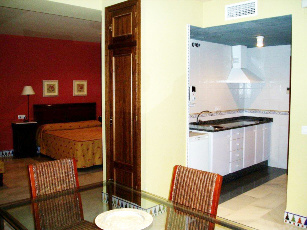 1- Accommodation in an APARTHOTEL equipped with a kitchen - in the historic centre. COMMENTS: We have a lady collaborator who lives next to the hotel and she can take care of providing students dinner. Because of her kindness and availability, she is a key person in our organization having daily contact with students. 2- Accommodation in a HOSTEL, rooms without a kitchen. Twins, triple and quadruple if necessary. 3- FAMILY boarding We have a wide network of families (we have organised school trips since 1990) with whom we have worked for many years, therefore we know them well. These families have a great experience in hosting students. This is an interesting option for those students who wish FULL IMMERSION. 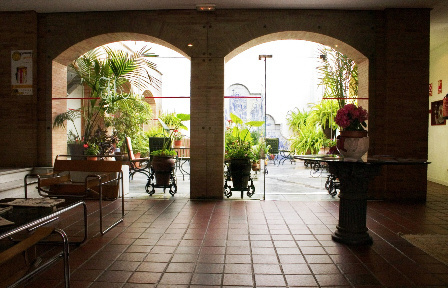 We have many references as to the quality of the accommodation we offer. Do not hesitate to ask us and we will gladly send it to you.